Simply enter your address below and we will post a worksheet to you. You can take as long as you want – just return it to us when you are ready and we will send you the next worksheet. It’s very easy and most importantly you find out the truth about God’s purpose for yourself. 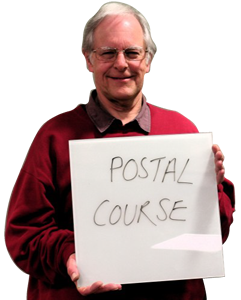 The postal course is free. We will not solicit any money from you, now or in the future. You can discontinue the course at any point that you wish to. Just tell us and we will stop sending you the course. Your details will not be passed on or used for anything other than this course.